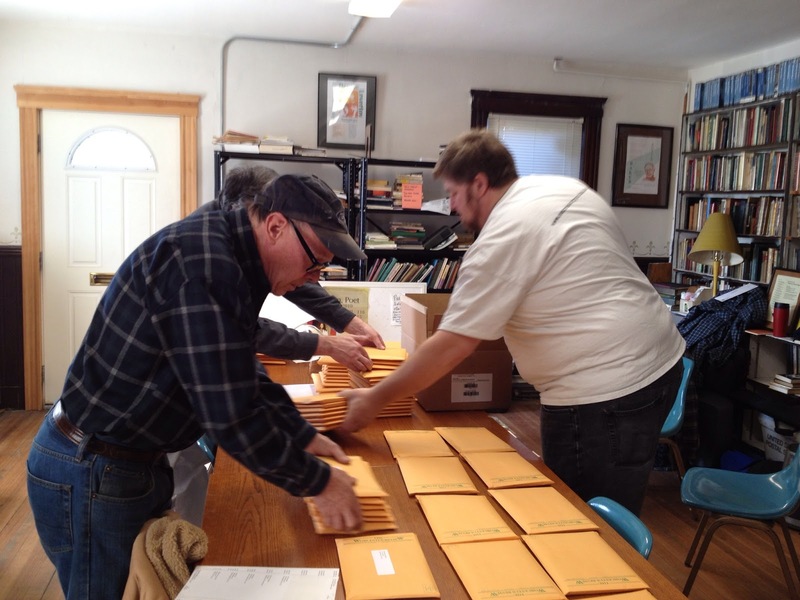 The Worcester Review: Worcester Review Volume XXXIII is on the way! 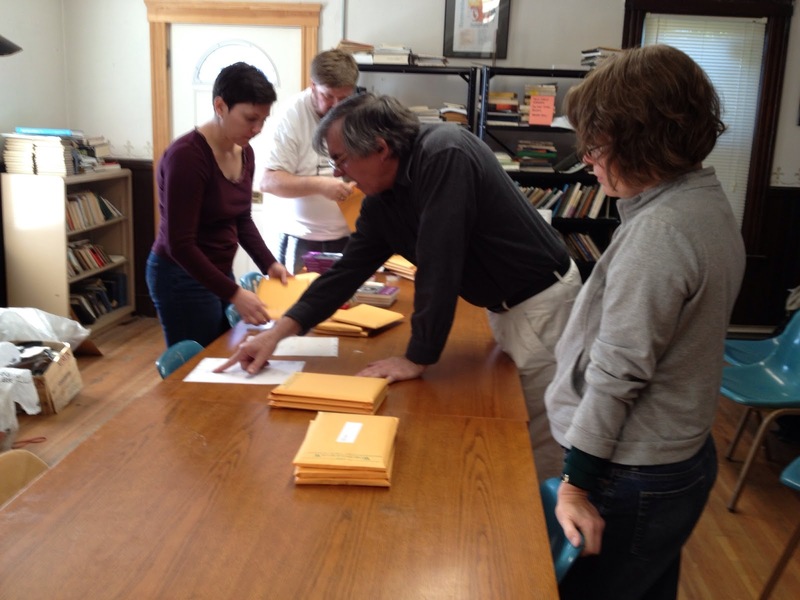 On November 17, 2012, members of the Worcester Review and the Worcester County Poetry Association met up at the WCPA office to prepare Volume XXXIII for mailing. The latest volume's feature is "Chris Gilbert: Into the Emerging Landscape" with fine pieces about Gilbert. The issue also includes general poetry and fiction selected by the editorial team during the past open reading period. Last but certainly not least, you can find this year's winning poems from the Frank O'Hara Prize in the pages for this year's journal. For those who have already subscribed to the Review or have a membership with the WCPA, you should get your copies shortly. For anyone that would like to order a copy, please visit the tab called "The Review". 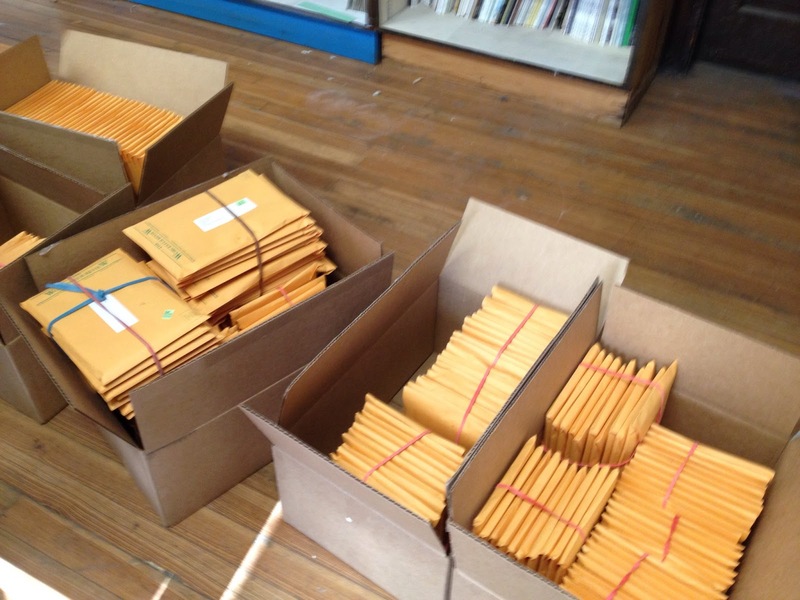 Next up: Robert Steele will head to the post office with the boxes shown below to get them out to everyone. We leave you with pictures from yesterday's mailing party. Robert Steele (left) coordinated the mailing process. 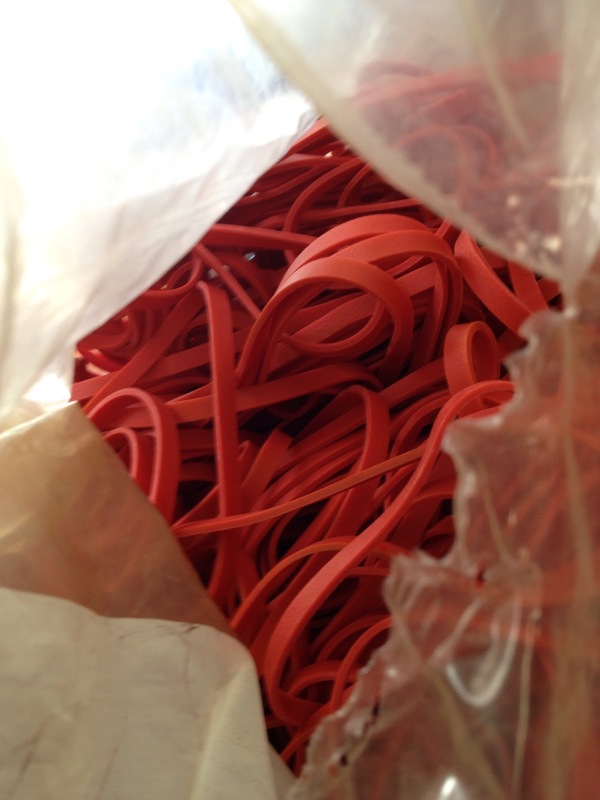 Red elastics were essential to the process. Luckily, Managing Editor Diane Mulligan found a huge bag of them in an office drawer. The team finishes up the last pile (international mailings).